On June 22, 2013 Amaretto help a 100 Years of Hope OOAK Auction and raised 2,250,200 Lindens! 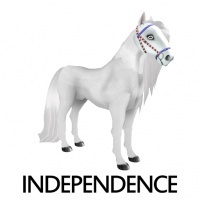 The 4 Amaretto OOAK Apocalypse Horses were auctioned off for a total of 1,610,000 Linden. 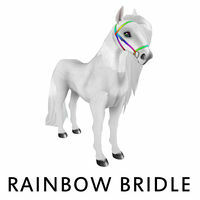 The Amaretto OOAK Apocalypse Horse – Conquest sold for 300,000 Linden. 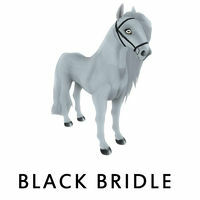 The Amaretto OOAK Apocalypse Horse – Death sold for 600,000 Linden. 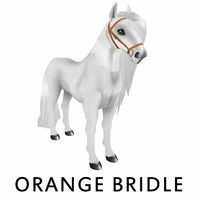 The Amaretto OOAK Apocalypse Horse – Famine sold for 335,000 Linden. 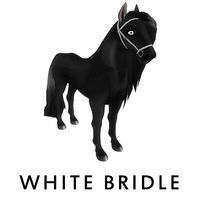 The Amaretto OOAK Apocalypse Horse – War sold for 375,000 Linden. 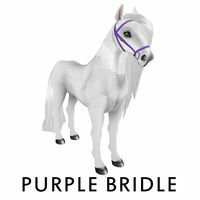 It was announced at the auction that these beautiful one of a kind horses are also hiding the 21st trait! 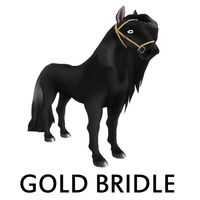 It was revealed that the bridle was the 21st trait. 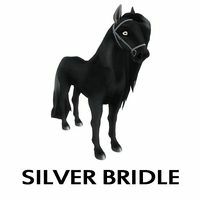 The bridle DOES have the ability to pass. 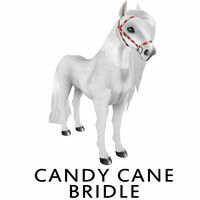 On Monday December 18th Amaretto released the Amaretto 2013 Holiday Horses at all Amaretto Locations! 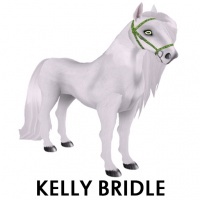 These special horses were on sale until January 1, 2014! What make these even more special are the hidden surprises they hold. By breeding any of this year’s holiday horses with any other horse you may find 1 of 4 new bridle colors (blue, red, pink or green)! On March 3, 2017 Amaretto celebrated St. Patrick's Day with some St. Patrick's Day Horses! 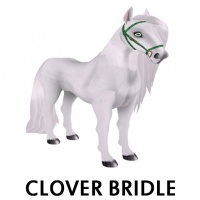 You could get a chance at a Kelly and Clover Bridle from any breeding. 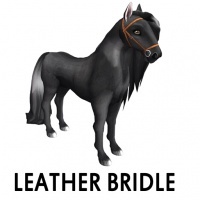 On July 4, 2018 Amaretto celebrated Independence day with traits that randomly dropped for 24 hours the Independence Bridle was one of the random traits! This page was last edited on 7 August 2018, at 17:46.